Weapons laws can be confusing in California. Certain weapons are considered legal under California law, while some weapons become illegal when modifications are made, such as increasing the magazine capacity, or changing the ammunition type. However, there is a class of weapons that are always prohibited under California law. These weapons, known as “generally prohibited” weapons, are illegal to manufacture, sell, or possess in California. There are many varieties of knives included in the list of generally prohibited weapons in California. You knew that the object was an unlawful weapon intended for unlawful purposes or one that could be used for unlawful purposes. Note that the prosecution is not required show that you intended to use the object as a weapon for unlawful purposes; only that you had knowledge that it could have been used in such a manner. Furthermore, the prosecution is not required to show that the item actually is in working condition to be used as a weapon. If you are being charged with sale, possession for sale, or manufacture for sale of generally prohibited weapons, the prosecution must also prove that you intended to sell the weapon(s). A PC 16590 conviction could result in a jail sentence in addition to a hefty fine. Possessing, manufacturing, or selling a generally prohibited weapon is a “wobbler” in California, meaning it can be charges as either a misdemeanor or a felony. If you are convicted of a misdemeanor violation of PC 16590, you face a maximum sentence of 364 days in county jail, a fine of up to $1,000, or both jail and fine. If you are convicted of a felony violation of PC 16590, you face 16 months, two or three years in county jail, a maximum fine of $10,000, or both jail and fine. The object was not a generally prohibited weapon. The list of weapons under PC 16590 is very specific. Hence, if the object you possessed, sold, or manufactured does not meet the characteristics of any of those generally prohibited weapons, you should not be convicted of this crime. For example, suppose you own an antique Queen Anne flintlock pistol. It has a rifled bore, and the barrel is 13 inches long. The prosecution will try to to prove that you had an “unconventional” pistol, but according to the law, an unconventional pistol is a firearm that does not have a rifled bore and has a barrel or barrels less than 18 inches in length and an overall length of less than 26 inches. Having a rifled bore means that this particular pistol does not fit the definition of a prohibited weapon, and therefore, you should not be convicted of this crime. Our defense attorneys are familiar with all of the effective defenses available in order to best protect your freedom. Lack of knowledge. The prosecution must show that you knew you possessed, manufactured, or sold the weapon and that you knew of its nature. If you did not know the weapon was within your possession, or had no knowledge that it could have been used as a weapon for unlawful purposes, you should not be convicted of this crime. Suppose that after hip surgery, your mother needs a cane. You see a cane hanging in the window of a pawnshop, and decide to buy it. On your way home, a police officer stops you for speeding. He asks to search your car, and you agree. He picks up the cane, and while inspecting it, twists the handle, exposing a six-inch steel blade at the end of the cane. You had no idea it was there. On these facts, the prosecution will attempt to charge you with possessing a shobi-zue, which is a generally prohibited weapon. However, you should not be convicted with knowingly possessing a shobi-zue because you did not have knowledge that you had a prohibited weapon in your possession. You have a valid permit. Some of these weapon listed under PC 16590 can be made, sold, and possessed under limited circumstances. For example, nunchakus are generally prohibited weapons, but Penal Code 22015 permits the possession of nunchakus at any school that teaches self-defense. The same code also permits the manufacture and sale of nunchakus to martial arts schools. 1. Can I be convicted of possession of a generally prohibited weapon if I was not physically carrying it? In criminal law, possession can be actual or constructive. Actual possession means that the item was in your control at the time you were arrested, such as having the weapon in your hand or in your pocket. Constructive possession means that you had access to the area where the item was found and could exercise your control over that area. So, if the weapon were found in the trunk of your car or your home, you would have had access to the weapon, and could therefore be charged with having constructive possession of the generally prohibited weapon. 2. Is it legal for me to film a scene with a short-barreled shotgun for a movie? theatrical or other entertainment production or event. 3. If I remove the firing mechanism, can I carry a sawed-off shotgun to scare away attackers? No. While your intention may be to display the weapon only for self-defense, the purpose of the law is to protect people from fear or coercion that the sight of such a firearm might cause. For example, suppose a robber brings an inoperable sawed-off shotgun into a convenience store. The clerk behind the counter does not know that the weapon cannot be fired, and so he still empties the register as ordered by the robber. Reducing this type of fear and coercion is one of the aims of the ban on these kinds of weapons. Your freedom is too important to risk. Call Wallin & Klarich today. Have you been arrested for making, selling, or carrying a generally prohibited weapon? If so, you will need an experienced and aggressive attorney to defend you against these charges. 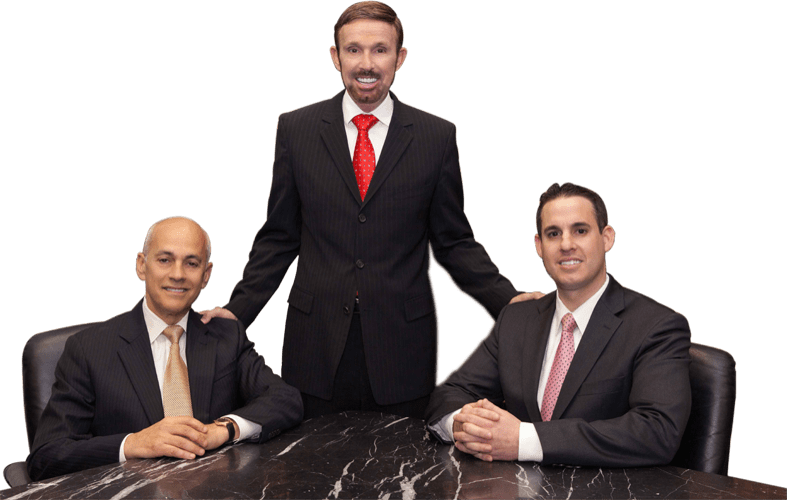 At Wallin & Klarich, our attorneys have over 30 years of experience successfully defending those charged with PC 16950 violations. We can help you, too. Contact us today for a free, no obligation phone consultation.